CoolSculpting Danville Specialist Elite Freeze® is one of the leading providers of CoolSculpting and Danville, California is where they call home. For many reasons, patients enjoy their trip to the Elite Freeze® headquarters for CoolSculpting. Danville is a very diverse, wealthy, and an absolutely beautiful place to live and visit. Danville, California – Danville is a small town located in Northern California, just 30 miles Southeast of San Francisco, situated right in the Heart of the San Ramon Valley. Danville is extensively well known for its incredible housing market, houses often sell for more than One Million Dollars, making it one of the top 50 most expensive zip codes in America. This makes sense since the medium income for Danville residents is $124,344. People are drawn to Danville for its many attractions, restaurants, and out-door activities. Mount Diablo State Park, Las Trampas Regional Wilderness, and many other Parks are located right in Danville. They provide access to great hiking trails, bird observing, and many outdoor activities. It is no wonder why Danville is such a desirable place to visit and live. 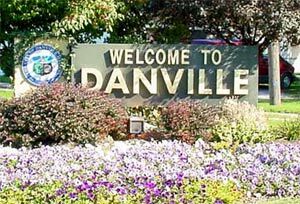 If you schedule a consultation with one of our Plastic Surgeons, you will have the pleasure of visiting Danville. CoolSculpting Procedure – CoolSculpting is the popular name to the procedure of Cryolipolysis, which is the process of freezing targeted fat deposits for fat reduction. CoolSculpting was FDA approved in 2010 and Elite Freeze® has become an expert at it. CoolSculpting works by freezing fat tissue at a specific temperature, just below freezing, and without harming other tissues, your body will naturally remove the dead fat tissue. CoolSculpting is a completely non-invasive procedure which will reduce your recovery time greatly when compared to other methods of removing fatty tissue like Lipo-Suction; this is the biggest advantage of CoolSculpting. Danville’s Elite Freeze® performs a typical CoolSculpting procedure between one and three hours. CoolSculpting prices vary due to many factors including: the number of targeted areas and the number of treatments. This makes it very difficult to price and a consultation would provide this information. There are very little side effects reported with CoolSculpting, some do include, irritation, swelling, cramping, itching, tingling, and numbness on treatment areas. CoolSculpting can only be performed by an M.D. like the ones at Elite Freeze®. Schedule a consultation with CoolSculpting Danville Specialists, Elite Freeze® today by clicking here.